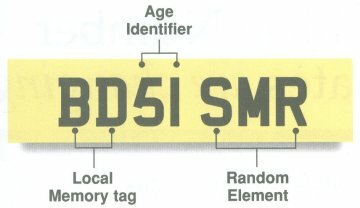 Reg Plate In the above example, BD signifies the vehicle was first registered in Birmingham, 51 represents September 2001 and SMR is the random element. The new format registration number comprises of seven characters all of which relate to different elements for use in identifying the age and issuing location of a vehicle. The elements of the index are the Local Memory Tag, the Age Identifier (See Below) and the Random Element. 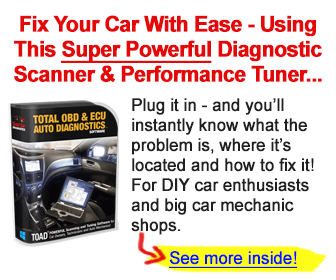 The Random Element is exactly that, however, the Local Memory Tag is linked to the DVLA Local Office where the vehicle was first registered and has been positioned and broken down in such a way as to help witnesses recall at least this part of a vehicles index. 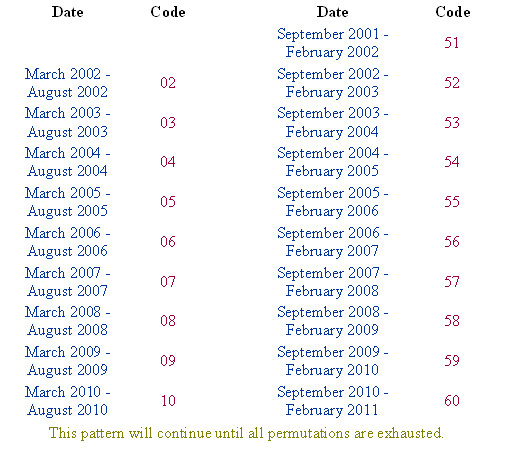 The Age Identifier changes every six months in March and September.